Bride-to-be Nicole’s two favorite things are Disney and Halloween. Naturally this makes us instant best friends in our mind! 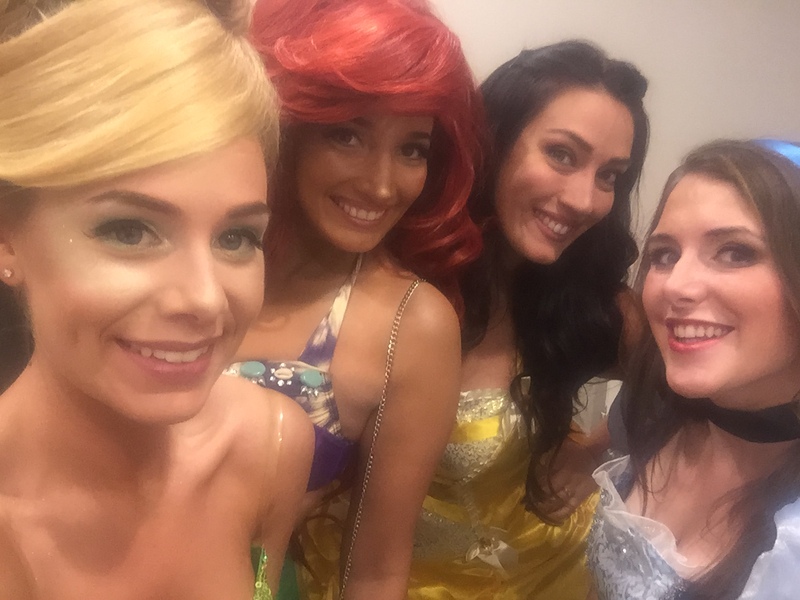 We’ve been stalking following Nicole on instagram @disneybride2be for a while. When we saw her epic pictures on IG from the couple’s joint bachelor / bachelorette party we begged to hear her full story. 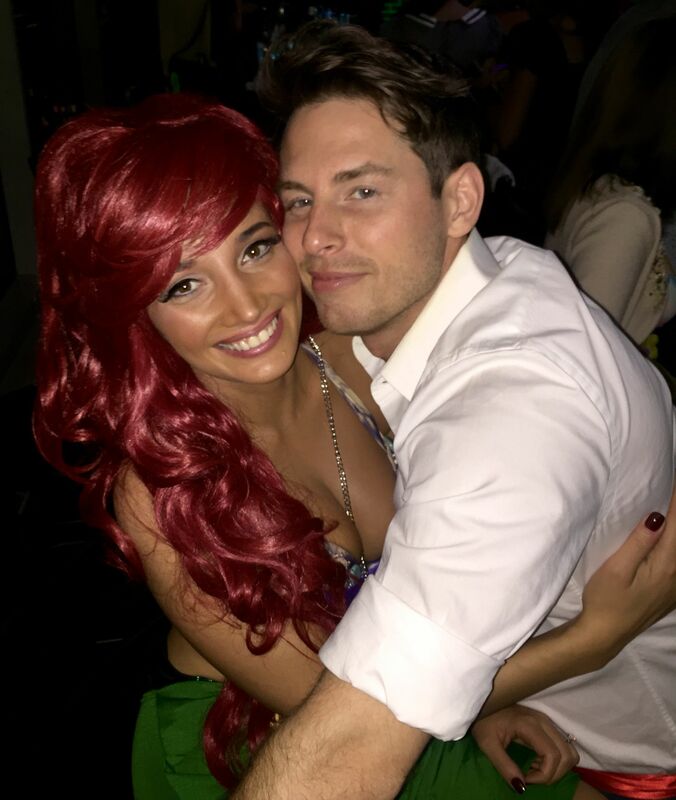 Nicole says her fiance Michael proposed to her on Halloween 2015. He loves the Fall and she loves Halloween, so it was a perfect time to get engaged. A few weeks later they went to Walt Disney World to celebrate with their family. Disney is her favorite place on earth, so the couple is going to marry in December 2016 at the Walt Disney World resort. 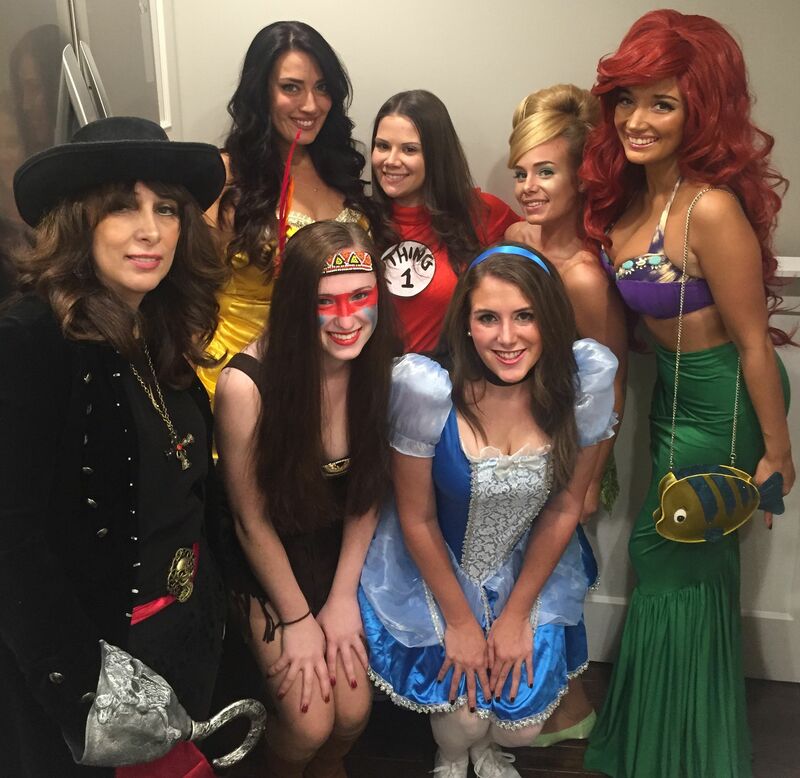 Halloween was the perfect choice for their bachelor / bachelorette party as it was the one year celebration of their engagement. They even hosted it at the same place they went for drinks after getting engaged. A bar called The Wicked Wolf in Hoboken, NJ. 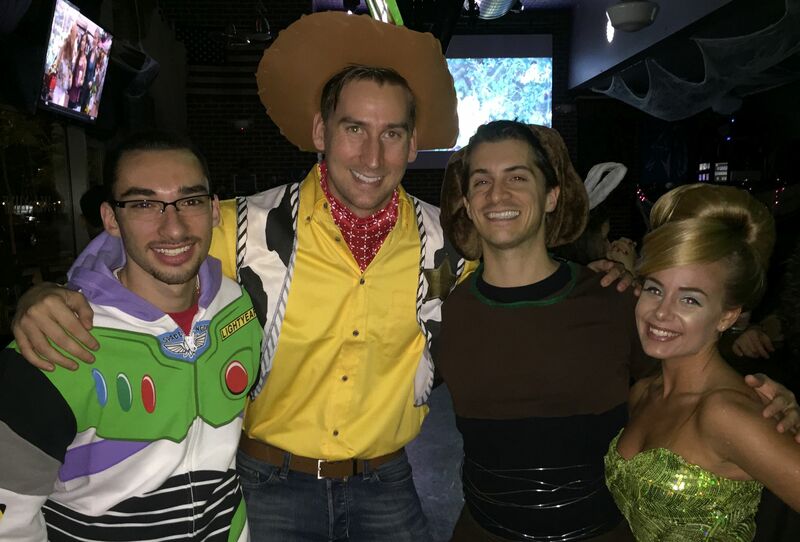 Close friends were invited, and the majority of them were fully committed to dressing within the Disney character realm. Nicole’s soon to be father-in-law and his girlfriend even came dressed as Mary Poppins and Burt. What a fun family to marry into! Ursula and Ariel, oh, and don’t forget Flounder! The dedication everyone put into their costumes is amazing. Such a supportive group of friends. We are especially obsessing over the perfection of Ariel, Tinkerbell, and Ursula. Way to go ladies! If this couple’s epic farewell party to single-hood doesn’t convince you of their love for one another and Disney, you must check them out dressed as another famous Disney couple. Best wishes to this Disney loving couple! We’ll be continuing to follow your journey @disneybride2be We can’t wait to see how gorgeous Nicole and her bridesmaids look on wedding day! What do you think of Nicole’s bachelorette party? Would you combine yours with your fiance’s bachelor party? Tell us in the comments. How to Help a Runaway Bride. One Hint: Disney World! Great costumes! Ursula killed it! What a great theme party to celebrate mutual Disney fandom. Yes. Obsessing. The tinkerbell hair! The more the merrier, right!? That is so awesome! 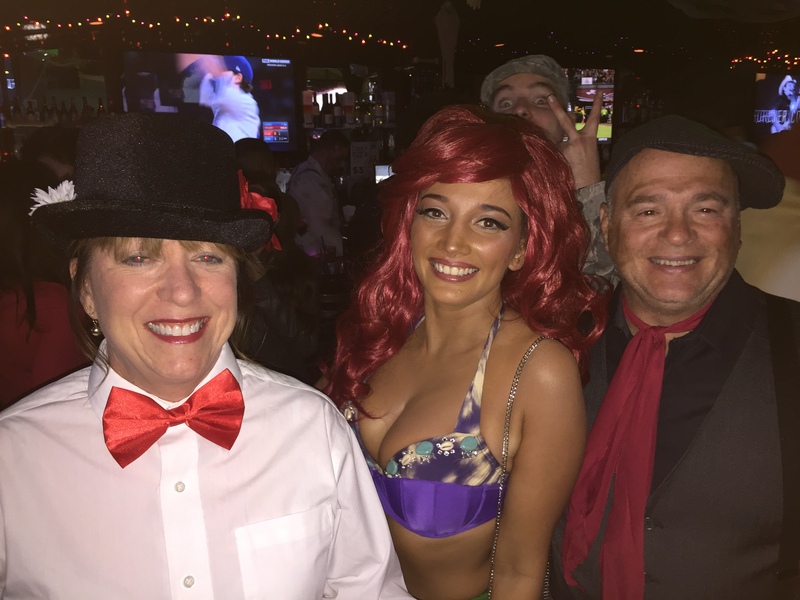 I love that the couple goes all out….now to convince Jim….. 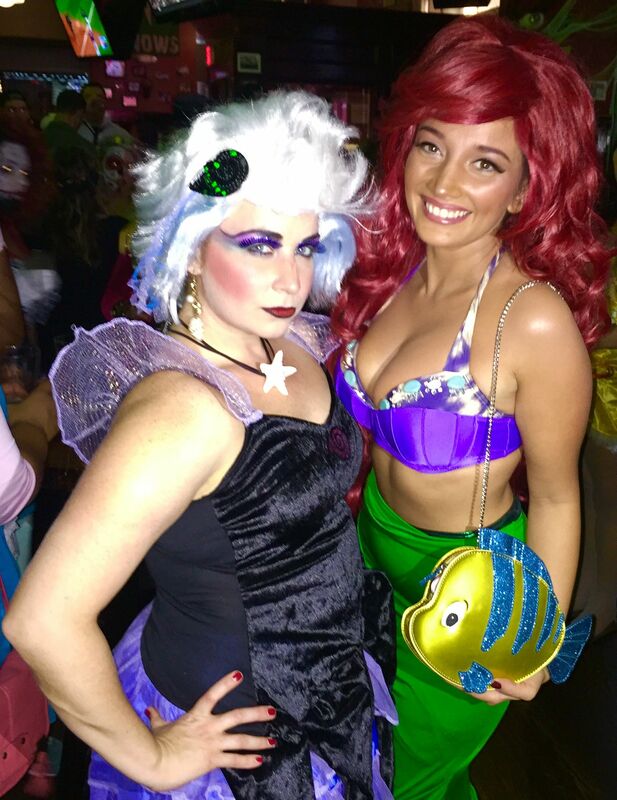 Her Ariel outfit is AMAZING!! I love her flounder purse!!! This looks like such a fun event!! Isn’t it adorable? What a fun way to bring flounder along. What a great idea!! They are just too cute and their costumes knocked it out of the park! Absolutely love this idea. 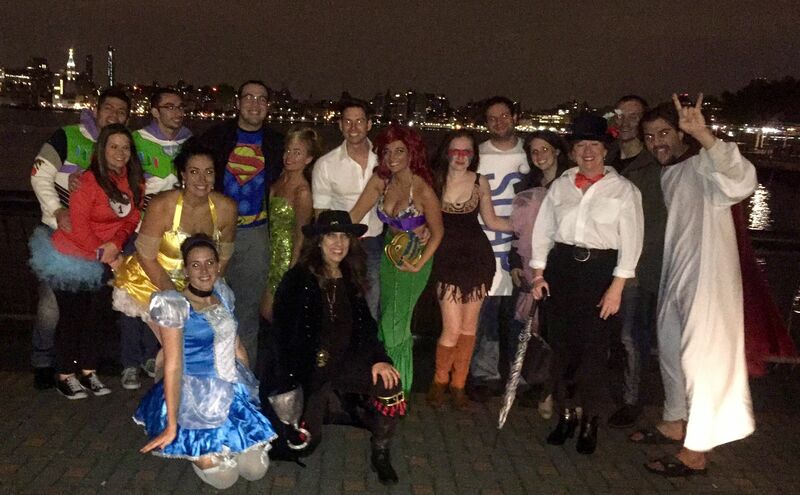 It’s amazing when everyone involved actually wears a costume. And these ones are so creative. Yes! Everyone joining in makes it fun. Vegas Bachelorette and Amazing Surprise Scavenger HuntBachelorette Party, Bridesmaids Confess!